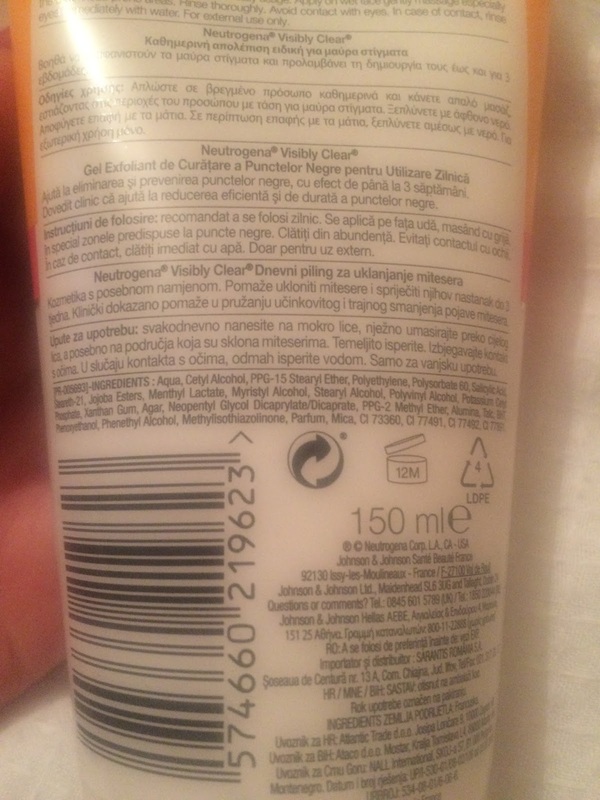 I decided to purchase the Neutrogena scrub just over two weeks ago when I decided to only use products that do not contain Sodium Lauryl Sulphate after having an allergic reaction to aqueous cream. Click here to see my post on this. This was one of the few scrubs I could find that actually didn't contain Sodium Lauryl Sulphate. The scrub is a daily scrub and claims to help eliminate blackheads from day 1 and prevent further blackheads for up to 3 weeks. It has quite a medicated smell to it which I surprisingly actually like. It is white in colour with small orange scrub granules. 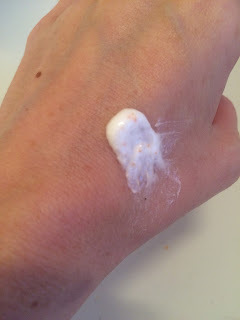 The texture isn't as coarse as some other scrubs such as the St Ives scrub I have used previously. If you want to read my review on the St Ives Scrub, click here. I have used this scrub now 1-2 times per day for 2 weeks. To use the facial scrub, you need to wet your face with warm water and gently massage the scrub in to your face in a circular motion then rinse thoroughly before finishing off with a quick splash of cold water. I don't find the scrub removes my dry skin as quickly as the St Ives scrub did but it is definitely a lot softer on my skin and doesn't leave red skin behind after use. It is so soft on the skin that it can actually be used daily. I usually use it morning and evening to try and keep my skin smooth radiant. The only criticism I would say is that after two weeks I haven't really noticed a difference in my blackheads at all. 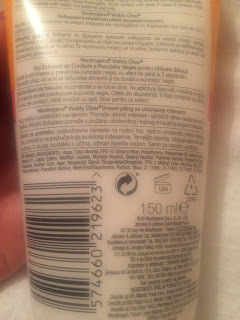 Luckily, this isn't why I purchased the product but personally I don't believe it has eliminated any of my blackheads. If you want a quick fix to dry skin, then maybe this isn't the scrub for you but over the period of a few days it is great and your skin doesn't suffer at all. Has anyone else used this? What facial scrubs would you recommend? My sister loves this scrub. I really like the Body Shop Seaweed scrub. Nice review! 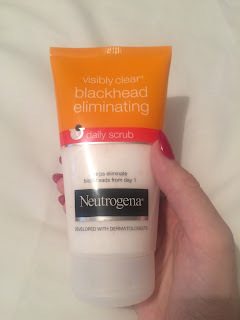 I love the Neutrogena Grapefruit daily scrub! I love this post and I use both of these products! Your blog design is absolutely stunning! follow for follow?